Prince George lumber manufacturer John Brink and BC Rail settled their decades-old dispute over the land Brink built his sawmill on. In other Business news: Wood Resources on the declining trade of softwood lumber in 2018; Nova Scotia’s Premier speaks to the Northern Pulp dispute; Georgia Pacific’s mill closure will ripple across Louisiana; 10 years after expropriation the Abitibi Consolidated’s mill site has yet to be cleared up; and Western Forest Products commits to noise reduction at its Duke Point mill. 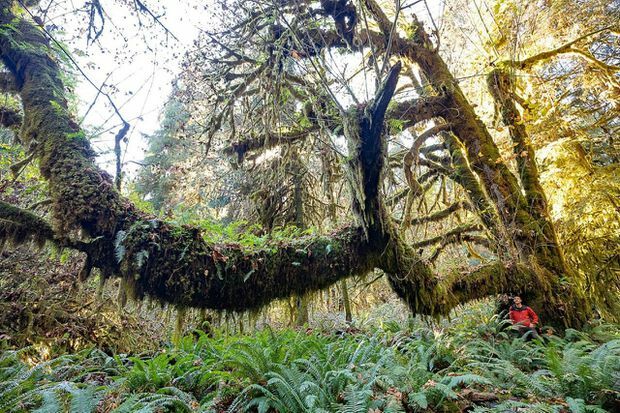 In Forestry news, more on: BC efforts to preserve a newly-found old growth forest; the US gov’t shutdown impact on wildfire preparations; and the 2018 Farm Bill. Elsewhere, Health Canada says concern over glyphosate use in forest management is not scientifically supportable. Finally, to be healthy, black bears need more than an all-you-can-eat salmon buffet. Declining trade of softwood lumber, plummeting lumber prices in the US and slowing wood demand in China were some of the biggest international lumber developments in the 3Q/18, reports the Wood Resource Quarterly. Global trade of softwood lumber from January through September 2018 was down 2.5% as compared to the same period last year. China, Japan, the United Kingdom and the MENA region reduced their imports, while the US and continental Europe have imported more lumber this year than in 2017. A long-running legal battle between Prince George lumber manufacturer John Brink and BCR Properties Ltd. over the state of the site where he had planned to build a sawmill has come to an end. A consent dismissal order was filed Dec. 12 stating that the proceeding be dismissed without costs to any party and that the dismissal is “for all purposes of the same force and effect as if judgment had been pronounced after a hearing of this action on its merits.” The order is signed by the lawyers representing Brink and BCR Properties. The matter – a dispute over the condition of a property at 1077 Boundary Rd. in the in the BCR Industrial Site – had been set to go to trial this past Monday and was to last 44 days, according to a trial brief submitted by BCR Properties. NANAIMO — Randy Shalagan has spent many nights hiding in a spare room over the last several months, trying to escape an unwanted intruder invading his home. But the intruder isn’t the type that can be stymied by fancy home security systems. That’s because it’s incessant industrial noise from a Duke Point sawmill. Shalagan said it was mid-August when he first noticed a constant humming noise inside his waterfront condo along the Newcastle Channel at Cypress St. and Stewart Ave. …One sleepless night, Shalagan said he had enough and went on an exploration mission at 2 a.m. He traced the sound to the Western Forest Products sawmill in Duke Point. The plant is roughly five kilometres, as the crow flies, from Shalagan’s condo and the noise travels a clear path across Nanaimo’s inner harbour. A decade after the provincial government became the owner of a shuttered mill, whatever toxic mess lies beneath has yet to be cleaned up. 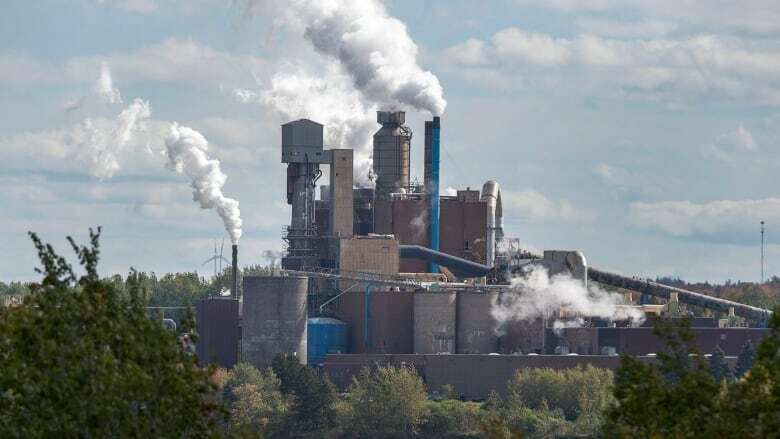 In 2008, when Abitibi Consolidated announced it was closing its Grand Falls-Windsor paper mill, the Danny Williams government reacted by expropriating the company’s assets. Among them, the provincial government would later learn, was the mill building and its polluted grounds. Now, a decade on, the building is gone, but whatever is buried on the site — accidentally appropriated by the province — remains. …Junior Downey worked at the Abitibi mill for 36 years. He said he knows about containers of PCBs, waste oil from machinery and other contaminants buried on the site. …In 2012, the government asked the Supreme Court of Canada to be considered a primary creditor so it could claim cleanup fees from the company’s assets. The court refused, leaving the cleanup in the hands of the province. AURORA, Ill. — Alexander Lumber Co. is closing several of its legacy lumberyards across central and western Illinois. The locations in Canton, Lincoln, Monmouth, Rushville and Taylorville are set to close permanently. The Bloomington location will merge into the existing LeRoy location. The Gilman location will merge into Watseka and Fairbury. “We intend to focus on our core pro builder customer in the Chicago and other mid-sized markets, especially those in Wisconsin, Iowa, and other surrounding states, should any opportunities arise,” says Russ Kathrein, President/CEO of Alexander Lumber. Each of the closing lumberyards will hold liquidation sales from mid-January through the end of Feburary 2019. …Alexander operates 15 locations in Illinois, two in Wisconsin and one in Iowa. The company was founded 128 years ago. PITTSBURGH – Officials investigating a fire that tore through an East Bethlehem lumber and hardware store was deemed a total loss. East Bethlehem Fire Chief Mark Giovanelli suspects a wood-burner heating system at Millsboro Lumber and Hardware could be to blame for Saturday’s blaze. …The Ark Avenue business lost an estimated $1 million according to Giovanelli. Inside the retail store, the business sold construction supplies, painting tools and more. …Giovanelli said that the fire was difficult to fight following the collapse of the steel roof which prevented water from dousing hot spots. Georgia-Pacific’s decision to stop producing office paper at its Port Hudson mill and lay off 650 people could ripple into an estimated loss of nearly 2,150 other jobs across Louisiana, an economic model produced by an LSU AgCenter economist shows. The layoffs will result in the loss of nearly $188 million in labor income and nearly $22.8 million in tax revenue for state and local governments, said Shaun Tanger, a forest economist at the AgCenter. “This is a conservative number,” Tanger said. The figures don’t capture the ripple effects into nearby Mississippi, where some people live and work in the timber/paper industry and could be doing the lion’s share of their business in Louisiana, he said. …Along with the loss in jobs and tax revenue, the prices that nearby landowners will get for their hardwood and pulpwood is expected to fall because of the reduced demand from Georgia-Pacific. VANCOUVER — Black bears need access to different species of salmon rather than huge numbers of a single variety in order to be healthy, a new study by Canadian researchers indicates. Lead author Christina Service said if bears have access to a “portfolio of different salmon species” then the animals have access to more food for a greater part of the year. “It is the equivalent of humans going to an all-you-can-eat buffet,” said the PhD candidate from the University of Victoria, adding that different species of the fish have different run timings and use different habitat. …The team of researchers used chemical techniques on hair samples from 379 black bears and 122 grizzly bears between 2009 and 2014 to estimate their salmon consumption, which showed population productivity and health. They studied animals across a 22,000-kilometre stretch along coastal British Columbia’s “Great Bear Rainforest. Conservationists in British Columbia are pushing for protections on an area of old-growth forests they describe as “Canada’s most magnificent.” The grove is located on Crown land in the San Juan River Valley near Port Renfrew on southern Vancouver Island in the unceded territory of the Pacheedaht First Nation band. …Most of the grove is unprotected, with a small portion — about four hectares — off-limits to loggers through the provincial government’s old-growth management area, he said. 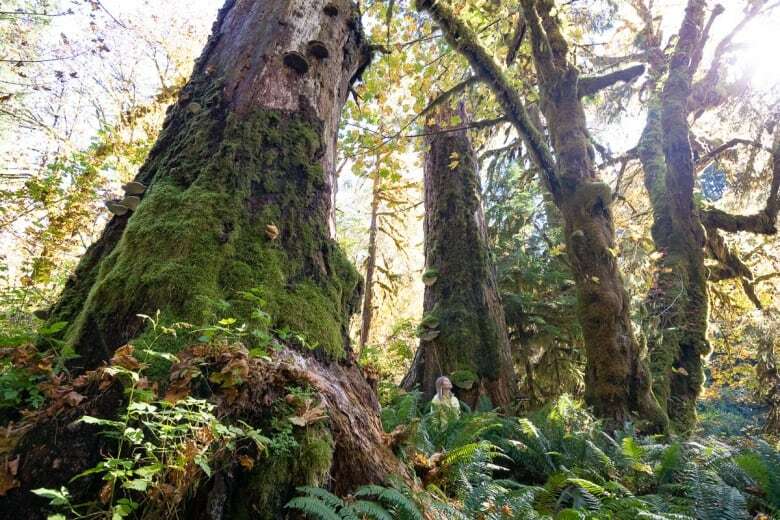 …This forest can be saved from logging if the provincial government simply extends its existing old growth management area, which currently protects about two hectares of this grove, he said. The B.C. Ministry of Forests said in a statement that the grove is contained in a woodlot operated by Pacheedaht Forestry Ltd., and there is no imminent logging planned. Researchers have discovered a 408-year-old tree amid a stretch of old-growth forest in Algonquin Park, located in an unprotected zone open to logging, the Star has learned. The Ancient Forest Exploration and Research group — a non-profit, charitable educational organization — recently made the find west of Cayuga Lake.It also identified three trees that are more than 300 years old, and five that are more than 200 years old, out of the 10 trees examined.“Based on mapping we’re pretty sure significant tracts of very old forest have also been logged in the past 10 years, or are currently being logged,” senior ecologist Mike Henry told the Star. The group is now calling on the provincial government to safeguard the area. 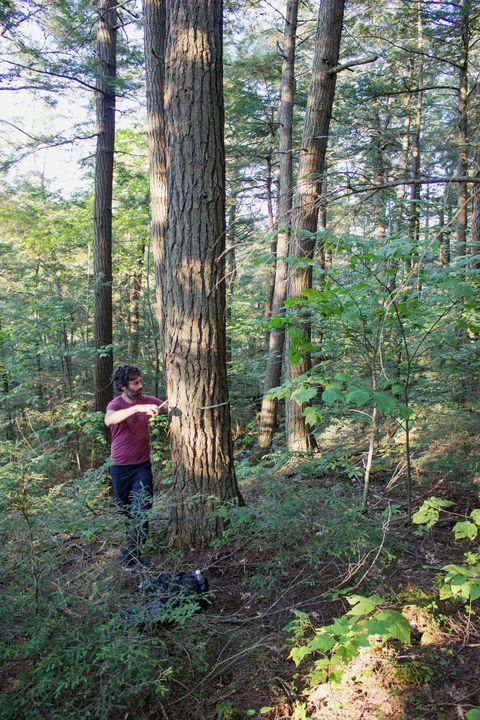 …The hemlock located last fall is estimated to be more than 408 years old, and “we can only know the ages of the remaining trees by coring trees and counting rings,” Quinby added. US: Trimble announced that it has released its Connected Forest Xchange (CFX) and Connected Forest Business (CFB) as core solutions to provide the global forestry industry with an end-to-end ecosystem for supply chain management, trading partner collaboration, and financial settlement. CFX and CFB are integral to Trimble’s Connected Forest initiative to provide solutions to manage the full raw materials lifecycle of planning, planting, growing, harvesting, transporting and processing. Trimble’s CFX supports collaboration among wood supply stakeholders by providing a cloud-based clearinghouse for log load data transactions, including scale tickets, load information and transportation monitoring in real-time. All stakeholders are able to make more informed decisions, improve their fiber visibility and increase their productivity. Trimble’s CFB is a contract and financial system to streamline harvesting and fiber-related transactions. The forest products sector got some of what it wished for Christmas in the recently passed 2018 Farm Bill. …Dana Lee Cole, executive director of the Hardwood Federation, commented, “The Hardwood Federation was very pleased that many of our top priorities are contained in the 2018 reauthorization of the Farm Bill, including essential funding for export promotion programs, resources that will further develop capacities for tall wood buildings, measures to facilitate the installations of biomass heat and power systems and improvements to federal forest management practices.” …The American Wood Council, which partnered with the National Alliance of Forest Owners and the Southeastern Lumber Manufacturers Association in lobbying for passage of the Farm Bill, also praised the outcome. “We are pleased that the final Farm Bill promotes further research and development into mass timber,” said council president and CEO Robert Glowinski. Controlled burns have been put on hold. Fire training sessions have been canceled. The hiring of hundreds of seasonal firefighters has been delayed. The nation’s wildland fire service — trying to regroup this winter after two of the biggest and deadliest fire seasons on record — has instead been cast into a state of anxiety by the three-week-old partial government shutdown. That’s because some firefighters with the Forest Service, National Park Service and Bureau of Land Management are among the approximately 800,000 government employees either furloughed or working without a guarantee of pay. 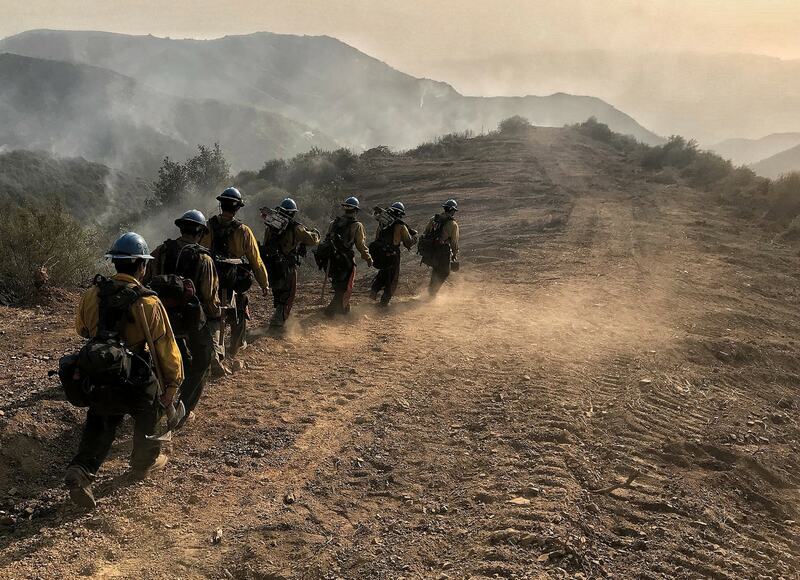 The shutdown has affected hundreds of regular fire and support personnel at those agencies, along with seasonal “hotshots” and others who swell the fire lines during the forest and brush fire emergencies … with increasing intensity … according to wildfire experts. A Senate Appropriations Committee report estimates that as many as 5,000 Forest Service firefighters may be working without pay. 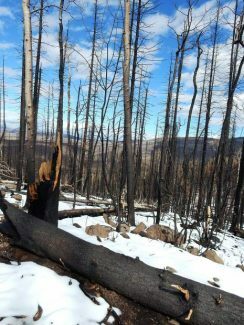 Aspen-area forests took a beating this year from drought and hot temperatures while parts of Basalt Mountain suffered severe enough fire damage that it could take centuries for some vegetation types to recover, according to an assessment by Aspen Center for Environmental Studies. ACES released its annual State of the Forest Report on Friday. …Blue spruce and subalpine fir destroyed by the fire are unlikely to bounce back quickly, if at all, McCurdy said. Lodgepole pines have adapted differently to fire and depend on it to open their seeds. 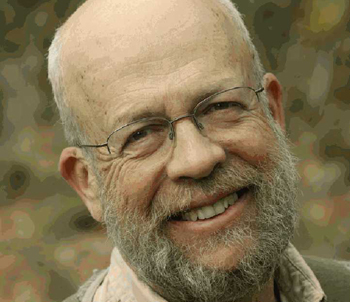 Aspen trees tend to bounce back well and there’s potential they could spread on the mountain, McCurdy said. The recovery is going to show how forests are dynamic places where change happens in spurts, he said. MONTICELLO — Timber harvests in Arkansas dropped off steeply in the final month of 2018, as heavy and persistent rainfall throughout much of the state made the process increasingly difficult and expensive. According to severance tax reports …total tonnage harvested in 2018 dropped more than 6.2 percent from 2017’s harvest…. While month-to-month harvest numbers in 2018 were actually stronger than 2017 for about half the year, Arkansas wood processing facilities received … 47 percent less than the next lowest monthly harvest in two years. The reduced harvest is already leading to shortages at lumber mills throughout Arkansas… Matthew Pelkki, associate director of the University of Arkansas System Division of Agriculture’s Arkansas Forest Resources Center, said said that unless Arkansas now experiences a dryer-than-average first quarter, lumber yards will probably not be able to catch up without incurring higher costs, either hauling timber from greater distances or trying to contend with saturated forest soils. Letter by Harold Macy, Headquarters Creek Woodlot Ltd. The anti-wood burning film noted in today’s (Jan. 11) Record presents several other methods of heating one’s home on this cool and damp Island. I will argue that each of them share an environmental footprint much greater than firewood. The opponents support the use of heat pumps, natural or propane gas, or wood pellets. Let’s have a closer look at each of these sources of comfort. …[Wood] is perpetually renewable and is sourced locally. For many years TimberWest and other industrial companies disposed of post-harvesting residue by smoldering slash piles which admittedly were problematic. However, the contractor operating out of our family woodlot now has an agreement to sort out the recoverable firewood, haul it to the processing yard and cut it into lengths then deliver it to local homes…. It is a win-win-win situation. …Before you jump on the anti-stove bandwagon, look carefully at the true costs.